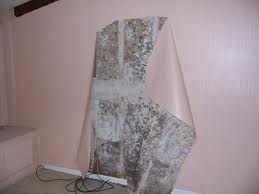 Mold occurs naturally and there are thousands of varieties. Some are considered more dangerous than others. In the outdoors they break down organic matter like trees, leaves, or anything organic. They serve a good purpose. Inside your home or business they are very dangerous and should be removed immediately. To reproduce tiny spores float in the air and when they land on wet surfaces they grow. A common thread in growth is moisture. Although mold grows everywhere, in the South we are especially prone to it. There is no naked eye that can detect dangerous spores from harmless ones. Don’t guess at it. Contact Precise Home Inspections LLC if you see or you may think you have the following. You may not see it but that doesn’t mean it is not there. If your home has suffered water intrusion, have it tested. If your family has the health problems, you could have mold growth behind a wall, in a duct, under a counter, or some other unseen location. Sometimes it occurs underneath carpet pads and is agitated into the air every time it is stepped on. If you suspect the possibility of mold, leave it to an experienced professional. If disturbed, it can release tiny spores into the air that are invisible to the naked eye. Well meaning intentions can increase the problem exponentially. If any of these conditions exist, we have a 5 step plan of attack. We start with a consultation with you over the phone and in person. We will return your call and visit your home right away. We will ask you a series of questions if you have had any of the following problems such as: problems with high humidity or moisture, musty odors of moldy or mildew, any recent leaks in your roof or plumbing, or if there is any mold that is that you have seen in your home or on your property. Seeing mold with the naked eye isn’t always possible. With this issue at hand this means we will take samples of the air as well as the surfaces. These air samples can determine what type of mold we are dealing with on your property. We will take air samples both indoors and outdoors in order to compare the spore count. 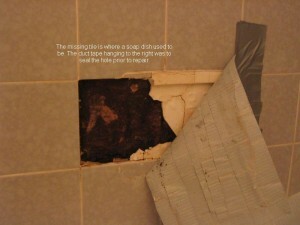 We still may need to take further samples to provide the most accurate account of the mold around the property. Mold sampling may include: air, swab, or bio- tape. All mold samples and spores are sent to an accredited lab to be analyzed by a professional lab technician whom is trained in mold testing. From there we will create a detailed report that will outline the specific types of mold found and the number of mold spores per cubic meter. Once we have received the report from our lab we will review it and discuss the details with you. From there we will provide you with our step-by-step protocols on how to remove the mold. As soon as the process of mold removal is done we will send our mold inspector back to the property to take final samples and make sure that the mold remediation was done properly and completely. Be the first to comment on "DO YOU HAVE MOLD????"